Topics: Jewellery, French, English, Various, Shop, and Ecommerce. There are 2 Nameservers, ns1.wix.com, and ns2.wix.com. Hostway Services Inc (Texas, Austin) is the location of the Apache server. 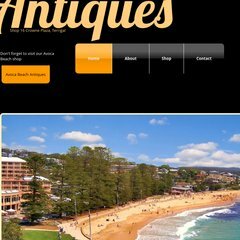 Accentantiques.net's server IP number is 216.139.213.144. A ping to the server is timed at 30.8 ms.